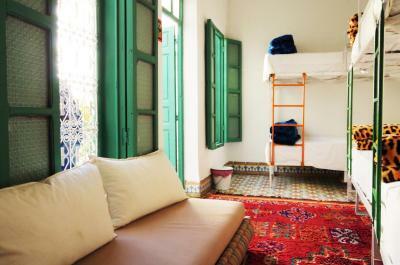 Lock in a great price for The Madrassa – rated 8.8 by recent guests! The staff was very friendly and helpful. The location was walkable to all main attractions. 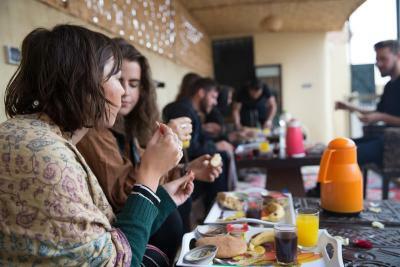 Beds were comfortable and guests were all polite and respectful while we were there, which makes a big difference in hostels! The staff was incredibly friendly! Also, the roofterrace is amazing! Very clean and charming, has a good view on the terrace. The hosts were funny and welcoming. Staff are AMAZING PEOPLE. Abdul & Abdul (shorter guy & taller guy, same names lol) are great people who really care about your happiness while there. I had an unfortunate illness while in the country & they took care of me very well!! 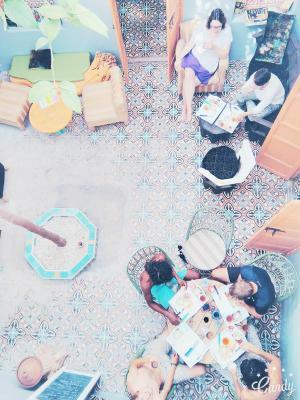 The location was extraordinaire and hussein and Abdul were great. There was no soap or shower gel and I had to buy one form carefurr which is like 3-4 miles (5-6km) away out of the Medina. Very friendly and helpful staff. Good breakfast and wifi. 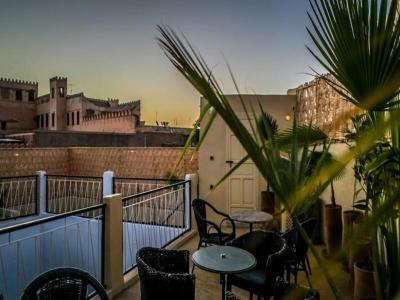 Excellent location, very close to Jamaa El Fna Square. There were small lockers in the dorm. 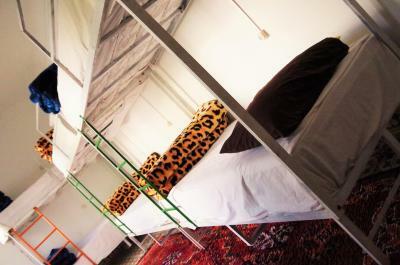 Comfortable beds and very clean room. Madrassa is filled with very warm, welcoming energy. Easy to get to and from Djemma el-Fna, and right in the medina.Much of the warmth comes from Lechen(TY for ALL your help)Anas(TY for the dinner at traditional Riad & talks& Oh My Gosh breakfasts)Jihad(TY for our talks)Abdou(TY for your welcoming smile & jokes & info)These men made my stay over top, opening the door when i came back from my wanderings with a big, warm "hello, how are you, what did you do today?" to setting up taxis and treks and dinners, when needed. There is a regular woman that comes in every day and cleans the place and does laundry, she works very hard and does an exceptional job! I now call the Madrassa my second home, and will be back, provided any of these welcoming, warm, happy young men are still there!! 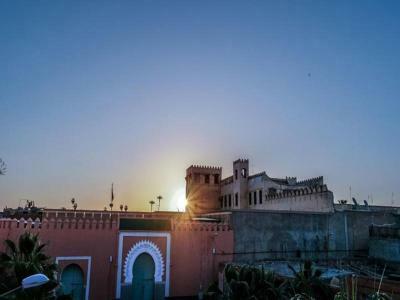 The Madrassa is located in Marrakesh, a 10-minute walk from Bahia Palace. 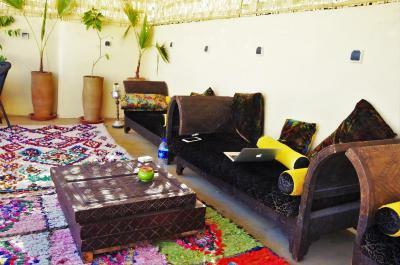 Located in the Medina district, the property provides guests with a restaurant. Guests can enjoy mountain views. 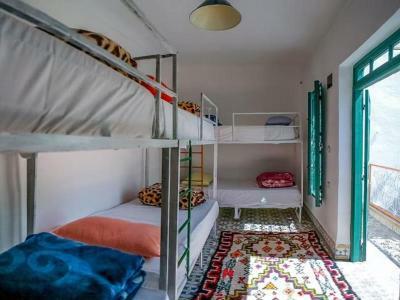 Guest rooms at the hostel come with a seating area. Each room comes with a shared bathroom with a shower. 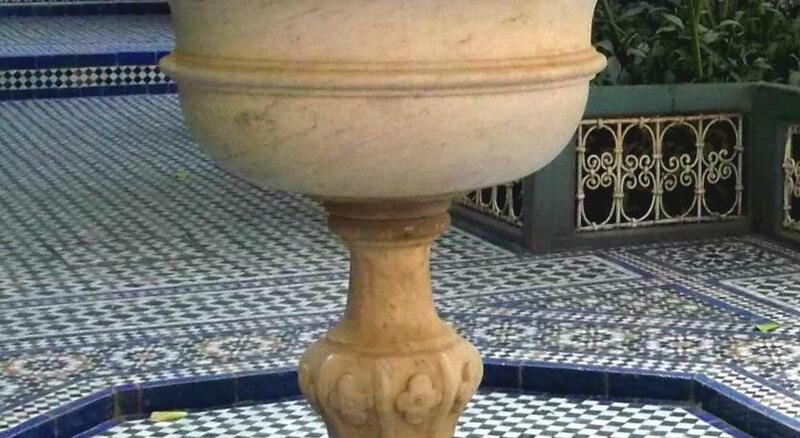 The Madrassa has a terrace. Cycling is among the activities that guests can enjoy near the accommodation. 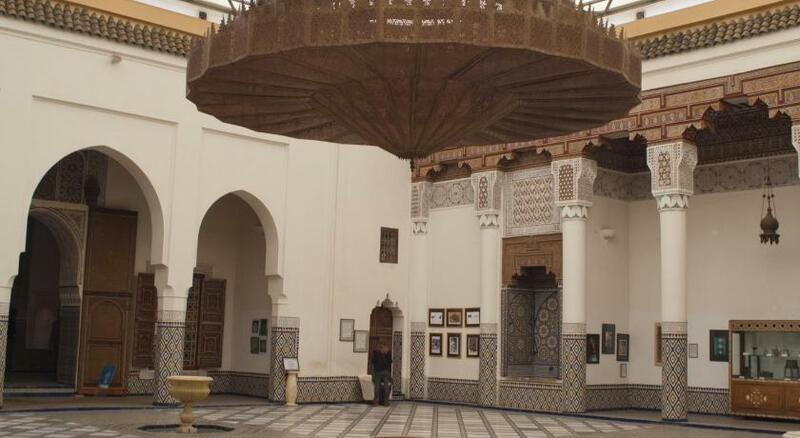 Boucharouite Museum is 0.6 miles from The Madrassa. The nearest airport is Menara Airport, 4.4 miles from the property. 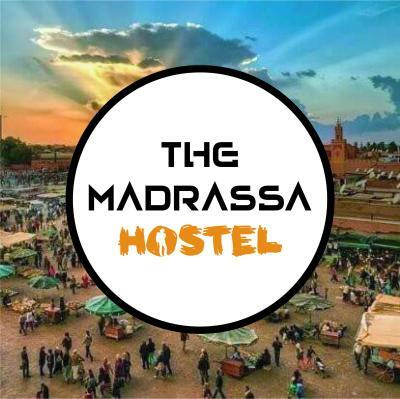 When would you like to stay at The Madrassa? 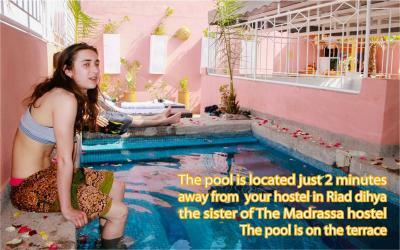 The Madrassa is a brand new, very beautiful Hostel and wants to create an economical and socially responsible property. 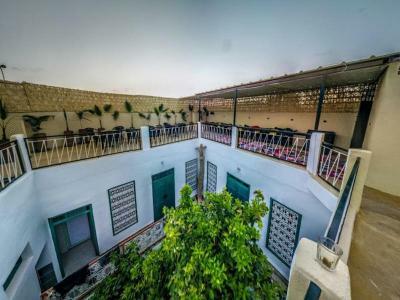 The Madrassa is more than just a simple accommodation for travelers; it is a place of experimentation into sustainable development, as well as a place for artists and culture to thrive. We are very conscious of our impact on the environment and our global footprint. In order to do this we adopt a number of principles in order to minimize our waste, electrical energy and water consumption. We start with the training and awareness of our staff. We educate them on issues of ecology and attitudes to adopt in regards to reducing our economic footprint. All our furnishings have been manufactured by recycled materials using a DIY concept converting old useless materials into fantastic new designs. All our organic waste is recycled, reprocessed or reused. We only use lights and machines that have low energy consumption. Soon we will be installing photo voltaic solar panels to heat the water and generate electricity for the property. We are involved in many projects in the region for the rehabilitation of natural sites and reforestation and reducing desertification. House Rules The Madrassa takes special requests – add in the next step! Yahya gave us a lovely welcome to the hostel and made sure we were relaxed and happy throughout our stay. He also gave us tips on where to go and what to see, super helpful and interesting guy! 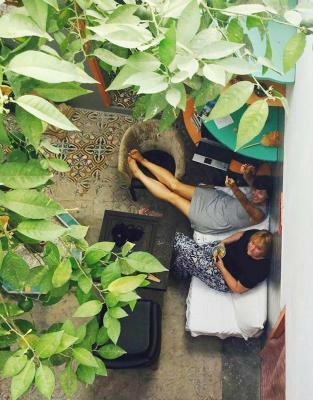 :) Breakfast was good, rooftop nice place to relax, hostel was clean too. Thanks for a great stay! A couple of minutes walking from the main square, so there is a quiet and nice atmosphere, but also easy to access. 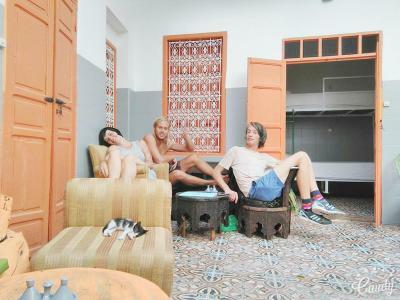 It is an esthetically nice hostel, and the hosts are great! Helpful and fun to hang with. 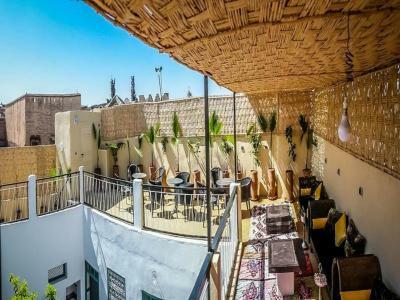 Great roof top where you can enjoy your breakfast. yahya and couscous were very welcoming and nice. 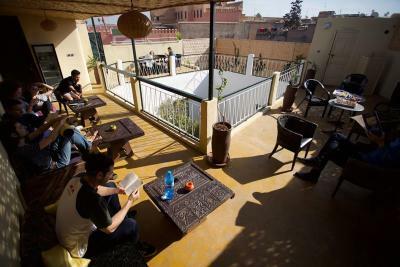 They were answering all my questions, offering some Maroccan tea, organising my taxi in the middle of the night and I got some breakfast too at 4 o‘clock at night! Thanks a lot guys! Breakfast was primarily bread and fruit - coffee is not available. The view from the rooftop terrace has been blocked by bamboo screens. Toilet paper is often out in shared bathrooms. The stuff Yassin and Fahd were super friendly and helpful, they recommended us good places to visit and restaurants to eat. We really enjoy staying there! Thanks guys! 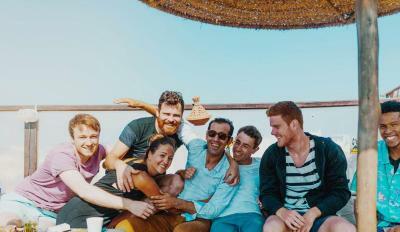 Yassine (the owner of the hostel) was one of the nicest guys I’ve ever met ! He’ll help you out with everything and will do everything that you have a nice stay. 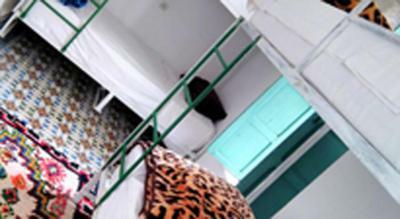 I would definitely recommend the hostel ! 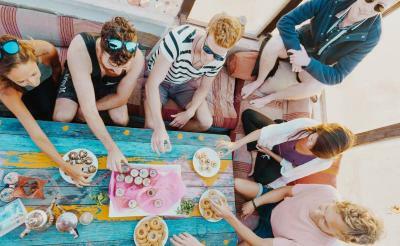 One of the best hostels of all time! The location was perfect, easy to find and close to downtown. The breakfast was amazing and the hostel was very clean. 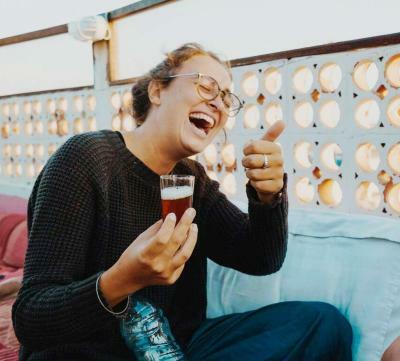 But, of course, the best thing about the hostel was the service, those who work there are very friendly, they helped us with everything we needed and treated us perfectly. 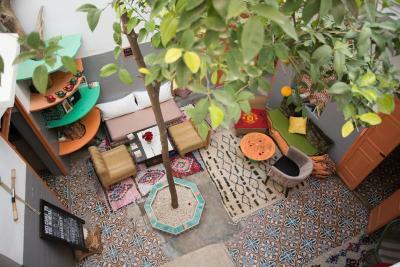 If I go back to Marrakech, I'm sure I'll stay in the same hostel. 100% recommended. The beds weren't as clean as in European countries, but they were just fine. The staff, Yassine and Fahd, are very friendly. 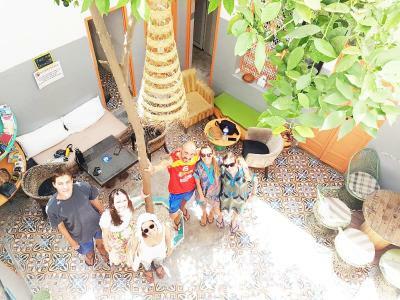 Whenever we needed anything they helped us, always welcomed us with a smile and showed very valuable tips on the stay in Marocco. We always stayed until late at night, drank tea and talked on various topics. 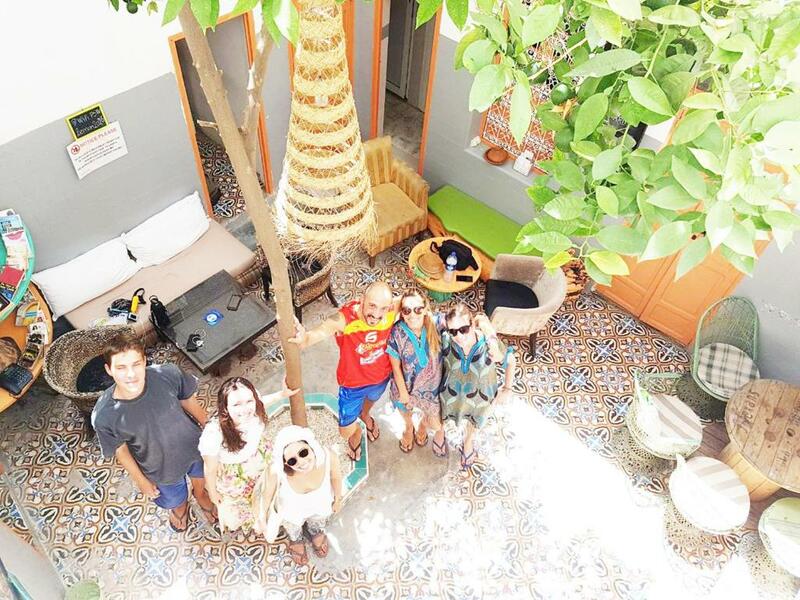 It's a great Hostel which I highly recommend! Especially the Staff, Fahd and Yassin, let us feel very welcome. Truly amazing experience! Location was perfect, just few minutes walk from square. Tasty breakfast. Very good quality for the price. This wouldn't be possible without great staff members who were working round the clock to keep place sparkling clean and reception running smoothly. All of them were extra helpful and friendly - makes you want to come back to hostel after day of sighseeing. What's more, we had a chance to see how genuinely good ppl they are when one of the cats gave birth to 3 kittens in... guest's bed. Even though mum-cat was constantly moving kittens around the hostel beds (and messing clean bedsheets) they didn't remove her. They fed her and let her stay in cozy box under the bed,where she could keep her babies safe&sound. My and my friend (who's a vet) strongly encouraged staff to spay the cat in few weeks to prevent future pregnancies. The old words of wisdom says: you judge ppl by the way they treat weaker creatures. During our short stay we had opportunity to observe that Staff from Madrassa have heart in the right place and positive vibe you feel there comes from that place. Good showers and delicious breakfast. 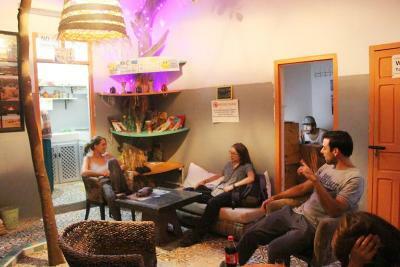 The atmosphere is really good in the hostel and friendly staff. 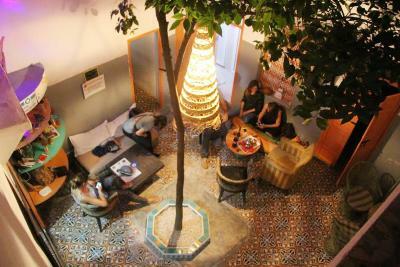 There is a nice rooftop and the hostel is nearby the main square. Lockers in the dormitory are good. They even prepared our breakfast when we left at 5 am.